'Pure Imagination' is the phrase Dreamworld looks set to take into 2017 with a bold new campaign. The problem is it misleads and undoes the entire premise of a theme park. i said my part in the other thread. I can see where this article is coming from, but i don't specifically agree with all the points made. I will concede they probably could have used a small print disclaimer across the bottom of the add disclaiming that some experiences portrayed were only imaginative and not available in park - but i think the ad achieves what it set out to do, and won't generate much negative response from people wanting to take a canoe ride with a crocodile. I wouldn't be too harsh, I think their approach is an appropriate shift, and their creative licensing is OK. I don't have an issue with Lynx deodorant in that every time I use it hot women don't appear and throw themselves at me. The add is all about using your imagination and that is exactly what there are showing you these people are doing. Now hold on there - i wouldn't go that far. The article makes a point - that the ad features BOTH real experiences and 'imaginary' ones, blurring the line between what you can do and what isn't possible - without making the distinction between them. This is actually one point I CAN agree with - that the distinction should be made clear - be that in fine print or with 'dream sequence' style editing. In a Lynx ad - its clear that the entire ad is fanciful. There is nothing real about any of the models used in the ads actually using the product - let alone the results they portray after using it. I don't go to Disney & pay a hundred bucks to use my own imagination. The article has a lot of merit. Overall I don't mind the campaign, but i'm pretty opposed to showing hot air balloon rides & canoes down lovely rivers when 1) the park does neither 2) other parks (like Disney's own) offer these kinds of attractions which complicates consumer mindsets 3) the park has dozens of other incredible experiences (like sunset safaris) that Dreamworld are the only folks in the country to do (because let's face it, every two-bit tourism operator has a canoe experience up in the NT) that the ad agency has simply ignored 4) the ad agency is putting canoes inside a river that was originally made for a boat ride that was a park staple that previous management ripped out. Also, i'm a diehard nostalgic fan of Tower of Terror, but using a twenty year old ride as your hero thrill attraction wouldn't be my move. It's 2017 and i'm still explaining to folks how awesome Tailspin is, the focus should be on the undiscovered gems that aren't solidified in the market yet, not the ones everyone knows and has been on a dozen times. I think involving the Yugambeh Youth Choir is amazing, I think the idea as a whole is great (I pitched something not far off this a while ago) but if it were me, I would've been pulling a Disney and inviting people into a "Dreamworld" of imagination, not inviting people into Dreamworld and asking them to use their imagination instead, because if we're being honest, if you've waited for Tower of Terror or Giant Drop recently, you're doing just that. 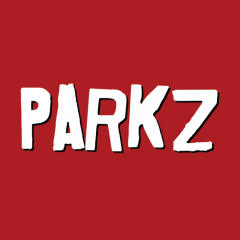 Generally I completely agree with these Parkz news articles, but this one not so much. I think the ad achieves its purpose well, but this article feels like its ignoring that purpose, and focuses too much on the negatives. It's an advertisement - it doesn't have to be 100% realistic - as long as it achieves its purpose of attracting people to the park which I think it will do well. As noted throughout the article, it's a good concept for a campaign. Many of the spots they've produced achieve it well. Several of them get it really wrong, and there's no two ways around it: it's deceptive. Obviously not intentionally deceptive, but rather a product of creative decisions and execution that just doesn't work. I think the canoe billboard is simply misleading; where in that does it give any indication that this is about imagination? There's no cues visually or in the text to suggest anything of the sort. You know why that bothers me personally? I know there's no such attraction at Dreamworld, yet the first time I saw that billboard my immediate reaction was, "I really want to do that!" The article kinda read more like an angry blog than something you'd find on a news site (though given the quality of theme park news from supposedly 'reputable' news sources these days, I don't know). Having said that... I agree completely with the article, if a billboard shows a canoe ride outside a theme park, I 100% expect to see said ride in the park. Not all visitors have the benefit of the doubt of knowing the park as well as we do, and the language barrier some foreign tourists have will only add to disappointment and frustrations for some. It's 2017... all news sites are either angry blogs or going bankrupt. I get the point you make here, and I agree with the majority of what you say in the article. But they aren't advertising massive rides they don't have, it's more tiny experiences. If I saw this as someone who hadn't been to the park, I'd think oh cool they've got this canoe experience. But if I got to the park and found out they didn't have it, I don't think I would be massively dissapointed because I could hire a canoe and go somewhere else and do it. They show a boy on tiger island, but if I got there and saw that Log and a tiger on it, I wouldn't be disappointed because there is a tiger on/near it. But there is an experience I can do to get close to the Tigers. I think these prints/posters/billboards are trying to take what DW have and show that all off, but then add an extra element to it that makes it part of your imagination. I see the people in astronaut suits and I don't think, wow that's so cool, I can wear one while on the ride. It's just a marketing way to get people to think differently about the things DW have to offer, and encouraging people to use their imagination. To add that extra bit of magic to people's day. Theme parks to me are about creating experiences that you can't just do where ever and whenever. You can't just go anywhere you want a see a tiger, you can't launch from 0-100 in 2 seconds. And you can't drop 120 metres without a a parachute and survive. Theme parks bring people's imaginations alive, especially for kids who get to meet their favourite superhero or dreamworks character. This campaign to be is about reminding people that theme parks are happy places for everyone to enjoy. Do things you can't or haven't done before. It's about bringing imagination back to people's lives. I get all this but again why is a THEME PARK asking you to use YOUR imagination? They are meant to be creating the experience for you. I think you've always got to use your imagination in a theme park, no matter how good the theming is. I disagree. If done well, it should be immersive enough that you don't need to design the ride in your mind. The Twilight Zone Tower of Terror and the Haunted Mansion both had me dumbfounded and believing in ghosts as a kid. I didn't have to actively imagine anything, as the rides themselves provided a tangible version of exactly what I envisioned a situation like a haunted house would be like. The Amazing Adventures of Spiderman is also a prime example of not having to use your imagination. The attraction provides an almost exact representation of the typical Spiderman comic but in a physical experience. 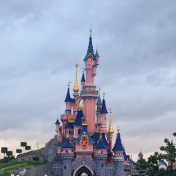 It may take "one little spark" to create and envision the attractions and experiences, but the guest shouldn't have to fill the gaps in any regard. I don't go to the places "where dreams come true" to simply continue dreaming. I semi-agree, although it's more of a matter of not thinking about it too seriously than using your imagination. The Amazing Adventures of Spiderman is also a prime example of not having to use your imagination. The attraction provides an almost exact representation of the typical Spiderman comic but in a physical experience. Except you don't need 3D glasses to read a spiderman comic. 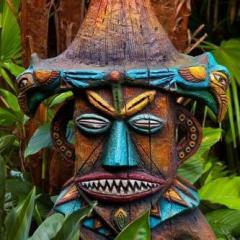 I always sit in the Billabong Restaurant imagining my party pies are Wagyu grain-fed morsels of deliciousness whilst staring out the window at the Jungle Cruise waiting to depart. Then the kid behind me hits me in the back of the head with a nugget and I realise I have the chewy remains of some minced unspecified farm animal stuck between my teeth and even the ducks don't want to cruise down the river. Okay, yes. I wasnt really think about some of the examples you have given. Was just a quick thought I posted. Areas like Harry Potter most certainly are immersive, and definitely area about the amazing spider man ride, that ride is one of my all time favourites. Tldr, big difference between Dreamworld, a world created by pure imagination and Dreamworld, a park where you use your imagination. There's suspension of disbelieve; I think that's required of any themed attraction. That is completely different from using your imagination. I'd like to think there's no adult on this site that is genuinely imagining themselves saving a Sea Lion on a jet ski, on a train during an earthquake in Metropolis, or doing whatever it is you're doing on Tower of Terror II with all those underground tunnels and turbines. That said you can appreciate your surrounds and let yourself enjoy the story or atmosphere as it's presented to you. You can appreciate it whether it's as simple as a few props surrounding the ride, or a mind-blowing universe everywhere you look. This campaign should be about how Dreamworld brings imagination to life. That's where the power of this concept lies, and both Dreamworld and the ad agency completely missed that. This "fill in the gaps with whatever you want" angle makes no sense in the context of a theme park that has always put some effort into presenting each attraction with its own unique look and storyline of sorts. Why are the ad agency and Dreamworld so oblivious to the fact that The Claw is themed to an Australian beachside town that they came up with a nonsensical medieval knights concept to promote the ride? Someone take a crack at explaining the rationale there please. Here's how it's done properly; Legoland pulled off this same basic concept perfectly several years ago. Note that they introduce fantasy elements while portraying the attractions accurately. This coming from the park that plays Disney music on Main St and has Stormtropper events. It's setup from the beginning to make you feel let down. Imagine if you saw an ad for a Hotel that showed Pools outside and a spa bath. You then book that hotel because of how good the hotel looks in that ad. When you arrive, you discover the pool does not exist yet and none of the rooms in the hotel have spa baths. I think you would rightly complain and request compensation because the advertising was misleading and you purchased the stay based on invalid information. How is Dreamworld advertising experiences it does not offer differ from this situation? I thought the commercial was great and seems to reflect 90% of the consensus on this forum. The front page article does no better for the parks then the usual media beat up every time a ride breaks down. 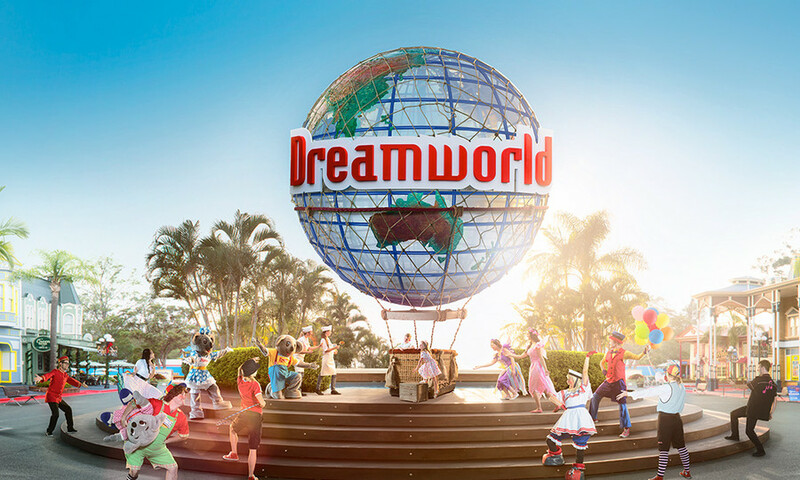 Dreamworld is going back to their roots and essentially the ad is showing a 'Dream World' of sorts. Richard Wilson has taken the commercial far too literally and I get the impression he wouldn't be too fun at parties. Maybe we should show clips of people lining up for rides or simply staring at animals through glass in order to convey realism. I'm sure that would sent the public to Dreamworld in droves.